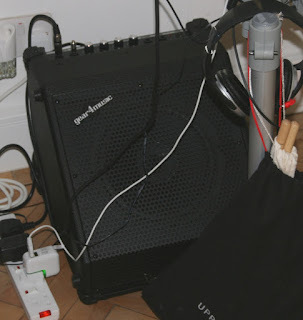 I was a little sceptical about buying a low cost amplifier to use with the electronic drums. I had read that drums need a very wide range from low to high frequency responses. I had already tried putting them through my normal home stereo but that was not good enough, rubbish would be a better description. 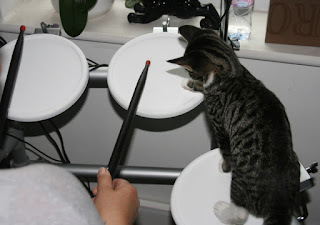 The sound of the sticks on the plastic can be heard clearly instead of the drum voices. Headphones sound excellent with all the drum sounds clear and they completely blot out the tap of stick on plastic that everyone else can hear but for the odd jamming session we needed to be able to hear the drums out loud. Having looked a lot on the Internet there was very little choice in lower cost dedicated drum amps. PA systems were not much different and most active speakers are a bit small to get a decent base sound. 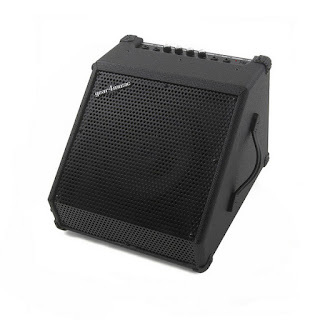 The Gear4Music (SubZero) DR-30 drum amp description was exactly what I was looking for but it was advertised at less than £100 and there was nothing similar at that sort of price. The rest with a similar spec, like the Roland PM-10 were all over £200. For the few times it was going to be used it was worth taking a chance on. It arrived today and I am very pleasantly surprised. The drums come out very clearly and the two volume controls allow mixing the background tracks with the drum sounds to whatever you desire. It is even much louder than we will ever need for our small rooms. 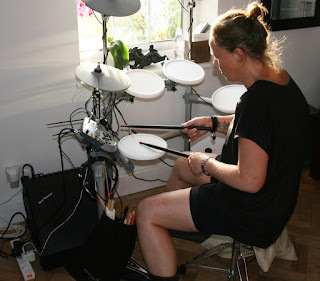 It allows you to play the drums without headphones and they sound like drums. It is very sturdy, has feet on two sides and most importantly has a good deep base sound as well as clarity. My only surprise is how big it is. I neglected to check the dimensions and it is about twice the size and weight that I expected. Not sure how I expected them to fit a 10" speaker in a smaller box. That's Min by the way assisting with drum practice. I'm thinking of getting this monitor. Would you be able to post a video, so I can get some sort of impression of the sound? I'm not sure my wife would be happy with her renderings being on the Internet. I'll ask but don't hold your breath.